Hey folks, Valkor here with one of the quirkiest games I’ve ever played. 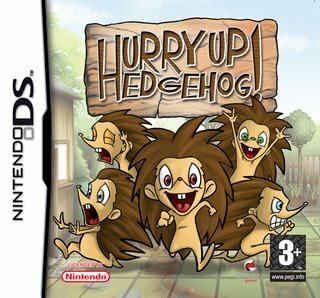 I enjoy a good brain teaser as much as the next guy (considering the next guy also likes brain teasers) but this next game, “Hurry Up Hedgehog” for the Nintendo DS, is not only quirky, but also quite perplexing to begin with. 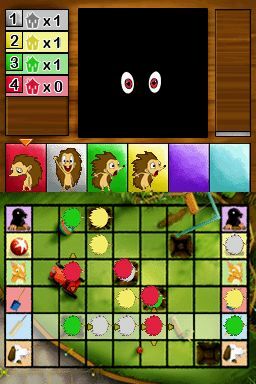 To start, Hurry Up Hedgehog is a board game where you must try to get at least three of your hedgehogs across the board (grid). 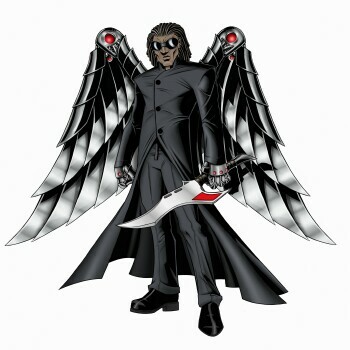 There are six boards to choose from and various playing styles. But let’s focus on the main game shall we. No, first let’s focus on actually starting the game! This is where, I think, most folks won’t be too pleased with the game, simply because there’s no clear way to start it. On the main screen everything is in images, but each image represents an option, which you can see on the top screen. When you first turn on the DS you have four images: a snail with a book on its back, a DS, two DSes, and a scroll thingy. When you touch any of the options, the top screen tells you what each image represents i.e. the snail is a brief and I mean VERY brief tutorial, the DS starts you on the single player game, the two DSes are where you can connect a second DS or up to 6 players can play Hurry up Hedgehog. Finally the scroll paper thingy is the credits. (Oh and once you start the credits, you can’t go back like the other options. You have to keep going forward). And Mind you, you’ll be sitting through this for a few minutes before you can figure this out. Sticking with the single player game, the “Game Rules” page is where the bulk of your frustration begins because you have no idea what these symbols mean (doping, stacking, shunting, flat mode). There’s no clear direction as to what you should be doing, neither does the manual help in figuring things out. The next screen only compounds the confusion because now you’re given a column of squares in the middle of the screen, which a different color (red, white, etc). The first two have the hedgehog’s head, but if you touch left you get a… Diglet? (Only Pokemon fans would know that one). But this is where you tell the game if you (or the computer) want to control what color. 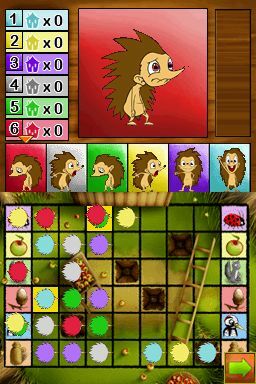 But once you finally get the game started, well then you begin staring at the board and you wonder… “What do I do next?” Here is where things get even MORE confusing: You have your flat grid (board) on the left side are the hedgehogs and on the right is the goal. The game is all stylus and once things starts, the lanes light up, landing on your first hedgehog that you must move forward. Now my thought process is this; underneath each hedgehog is a symbol and on the right side a matching symbol. My thought was to move my hedgehogs to match their respective symbol. Or so I thought. I chose red, I move my red hedgehog and the computer moves white. Suddenly the computer moves my red hedgehog! The game says to move my hedgehog across the board then why would the computer also move my piece? Remembering the in-game instructions, it says that once you move your piece, then you can move another and the game will tell you when and which hedgehog you can move. I persevere. And I realize that I can move the computer’s hedgehog as well, especially towards on screen obstacles… obstacles that are drawn into the background, but somehow when the hedgehogs run into these obstacles they know is there, but to me it’s just a piece of art, they react with a scream or a grunt. The only obstacle that really stands out is the hole in the ground, which when one lands in the hole the top screen goes black and all you can see are a pair of eyes. Ultimately I get three hedgehogs across the board and win the game. Exactly how I won? I don’t know. Am I satisfied I won? Not even! Will I try the game and delve deeper into its schematics? Believe me I think I delved as far as I could. I even looked online for further instructions but alas, it just wasn’t meant to be. There isn’t too much to say, other than if you enjoy a good brain teaser, then this is one that’s a definite pick up, albeit with a serious learning curve that will throw you for loops. I thought the animation on the top screen was nice, especially the reaction shots. The tunes (what little there are), were very catchy. I especially enjoyed the sound effect when the game begins scrolling through the lanes. That would make an awesome message tone. The lack of any real detail in terms of even figuring out how to start the game! Don’t get me wrong, I’m the kinda guy who will jump right into a game without reading the instructions, unless I need help figuring something out. That way I can only blame myself if I get stumped. 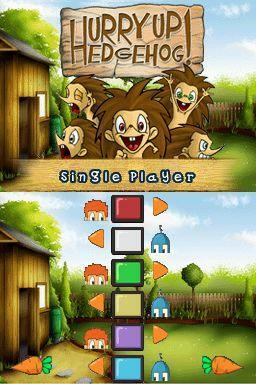 This game has you stuck as soon as you turn it on and then some. The manual should have been more detailed in its instructions. The in game instructions are just too brief; yea it gives you the jist of how to play the game, after that you’re pretty much on your own. That hedgehog laugh; its evil! It’s taunting! It haunts my dreams! Damn you hedgehog!!! Needless to say I’m not the biggest fan of this game. Don’t get me wrong I’ve figured out how to actually play the game, but I’m simply not a fan of ever playing it again. So with that in mind, I’m giving Hurry Up Hedgehog’s TOV’s “No Score”! It’s not a “no score” in the negative sense, nor am I giving it a “no score” out of hate. It’s a “no score” because it would be unfair to give it a high score, then I’d confuse plenty into thinking I enjoyed the game. And if I give it a low score or a negative score than I’d be flamed for giving the game a low score based on my opinion of it, which is still pretty low. This is a definite try before you buy, do some research and if you find yourself enjoying this game, then please drop the Val-man a line (email is below) and tell us of your experience.